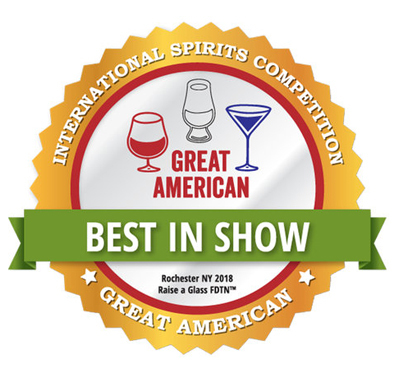 Trumie's Line of Sprits — Chippewa River Distillery & Brewster Bros. Brewing Co. In downtown Chippewa Falls from 1957-1972, locals often gathered at Trumie’s Bar. The bar was located four blocks from the Chippewa River Distillery, and was owned by Trumie Schneider, Kurt’s grandfather. Trumie was a hard-working man who took good care of his family. He was also very fun-loving and social – it was not unusual for him to invite a large group of people to dinner on a whim (much to his wife’s surprise). He was known for playing jokes on people. 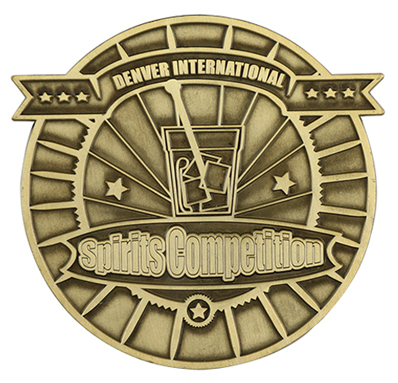 One prank that locals still remember is the silver dollar he had embedded in the tile on the floor of his bar. He was entertained by watching customers try unsuccessfully to pick up the silver dollar. Speaking of dollars, Trumie appreciated the finer things in life, such as premium spirits, providing they were a good value. As a tribute to him, we bring you Trumie’s line of spirits. We invite you to join us in tasting these reasonably priced spirits. We know Trumie would have loved the company. He would be proud that Chippewa Falls is now the birthplace of quality spirits. Don’t we all have a little bit of Trumie in us? Cheers! Trumie’s Original Vodka is distilled and hand crafted by Chippewa River Distillery using only the finest ingredients. This vodka has a very neutral aroma and flavor. The taste is very clean and does not linger on the finish. It makes a great martini, and when used in mixed drinks, the cocktail flavors stand out. 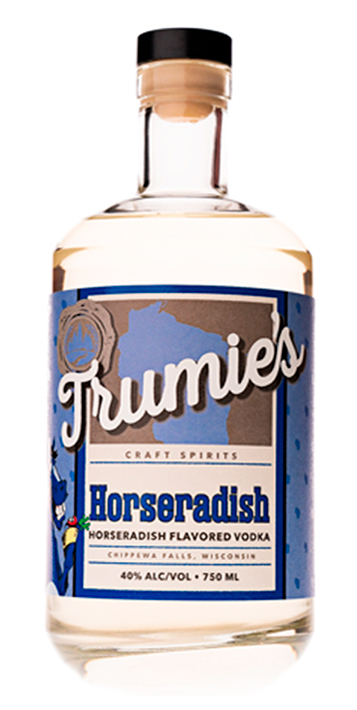 Trumie’s Original Vodka is distilled and hand crafted by Chippewa River Distillery using only the finest ingredients. 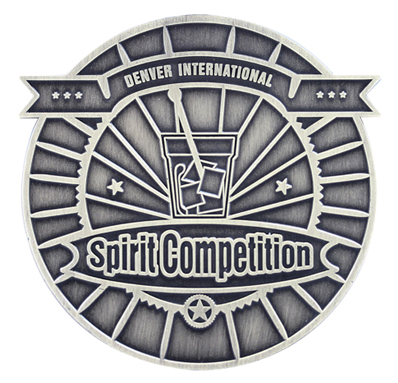 We then meld this vodka with natural dill, resulting in a sought-after, award-winning flavored vodka. The dill flavors add a delicate, distinctive taste to your cocktail. Enjoy this Dill Flavored Vodka that will have the dill and craft cocktail overs in all of us cheering. Trumie’s Original Vodka is distilled and hand crafted by Chippewa River Distillery using only the finest ingredients. We then meld this vodka with natural garlic to create an award-winning flavored vodka. The natural garlic tingles the nose and palate and provides a gratifying flavor in your cocktail. Enjoy this Garlic Flavored Vodka that will have the garlic and craft cocktail lovers in all of us cheering. 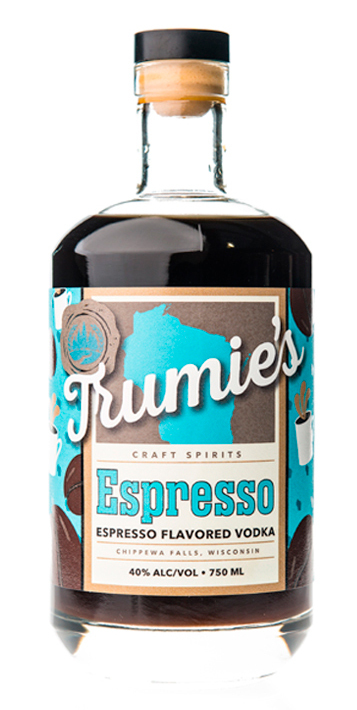 Trumie’s Original Vodka is distilled and hand crafted by Chippewa River Distillery using only the finest ingredients. This infused vodka is made with fresh horseradish from our friends at Silver Springs Foods in Eau Claire, WI, a family owned and operated business since 1929. The intense flavor of this vodka adds a complex, intriguing taste to your cocktail. Enjoy this Horseradish Flavored Vodka that will have the horseradish and craft cocktail overs in all of us cheering. Trumie’s Original Vodka is distilled and hand crafted by Chippewa River Distillery using only the finest ingredients. We then meld this vodka with bacon flavoring to create a crowd-pleasing flavored vodka. The bacon flavor along with the smokiness create a unique, memorable cocktail. Enjoy this Bacon Flavored Vodka that will have the bacon and craft cocktail overs in all of us cheering. 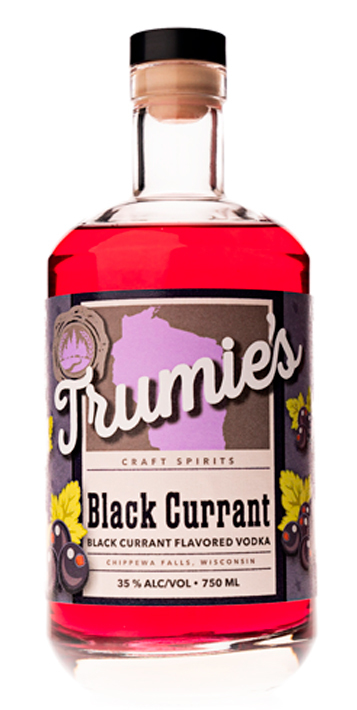 Trumie’s Original Vodka is distilled and hand crafted by Chippewa River Distillery using only the best ingredients. 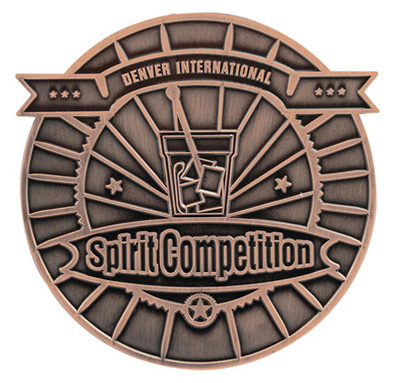 We then infuse this award-winning vodka using locally dark roasted espresso beans and natural Vanilla flavors. This creates an intense coffee flavor and essence along with fresh vanilla notes at the finish. Craft your favorite cocktails without the sugars found in many other coffee-flavored products. We hope you enjoy this unique product as much as we do. 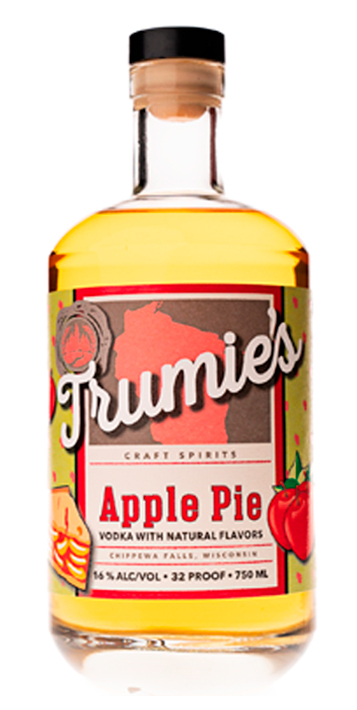 Our Apple Pie Vodka with natural flavors is a fun combination that starts with Trumie’s Original Vodka. We combine it with fresh apple cider and cinnamon to create a vodka that tastes and smells like the apple pie your grandma used to make. Enjoy it as a shot, over ice, or in a cocktail. Trumie’s Original Vodka is distilled and hand crafted by Chippewa River Distillery using only the finest ingredients. We pick locally grown Black Currant berries to infuse the juice into this delicious flavored vodka. The freshness of the black currant flavor makes an outstanding cocktail. Use this complex yet balanced flavored vodka to create your favorite drink. Enjoy!